Includes six (6) exotic wood picks in a collectable pick tin with Santos Rosewood inlay. WHAT MAKES OUR PICKS THE BEST? Our picks are Made in the USA 🇺🇸 and are 100% Santos Rosewood. 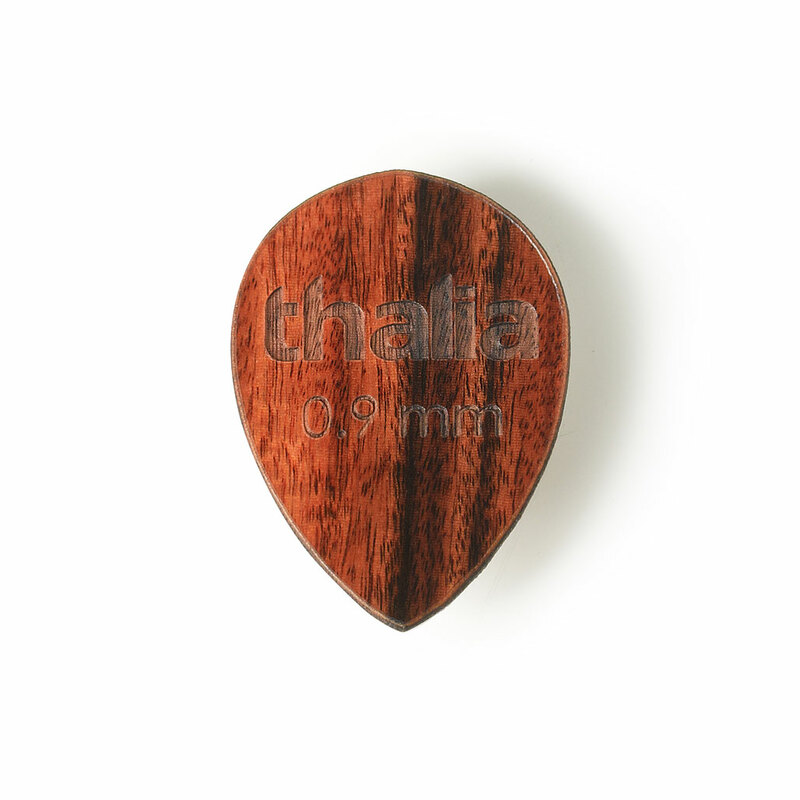 Our 0.9mm picks are made with 2 layers of exotic wood, while our 1.4mm picks are made with 3 layers of exotic wood. You can order our picks in 0.9mm, 1.4mm thicknesses. Our 0.9mm has a feel that is similar to a Fender Medium, while our 1.4mm would be similar to a Fender Thick, but with a much warmer tone. 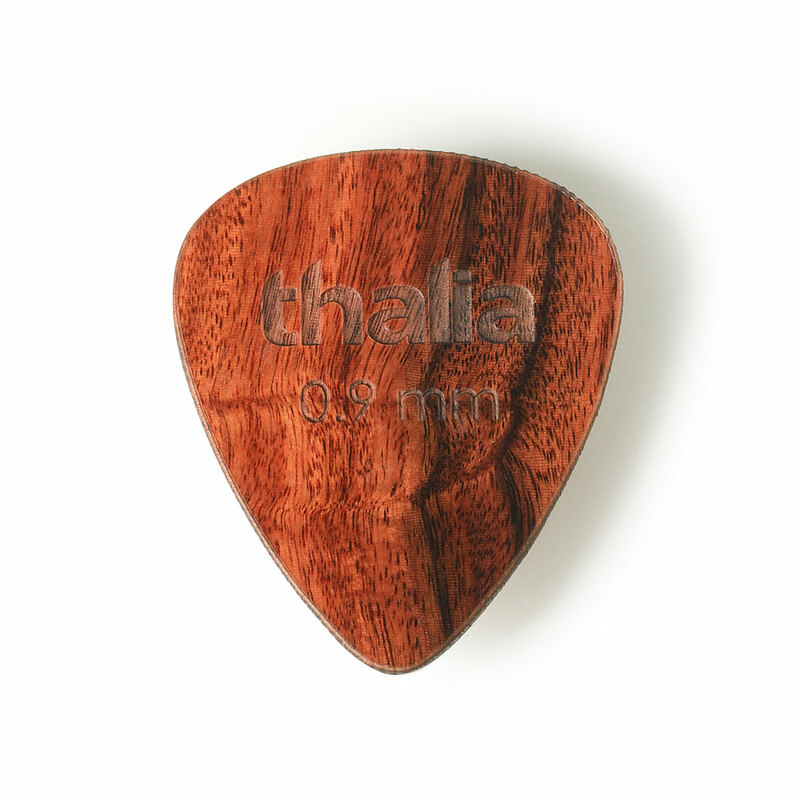 Thalia Exotic Wood Picks are crafted by slicing micro-thin layers of exotic wood and then bonding them back together with the woodgrain in a crosshatch pattern. This patented process results in a very thin, flexible and durable wood pick with a warm tone. Because they are made of 100% wood, they will wear down with use. 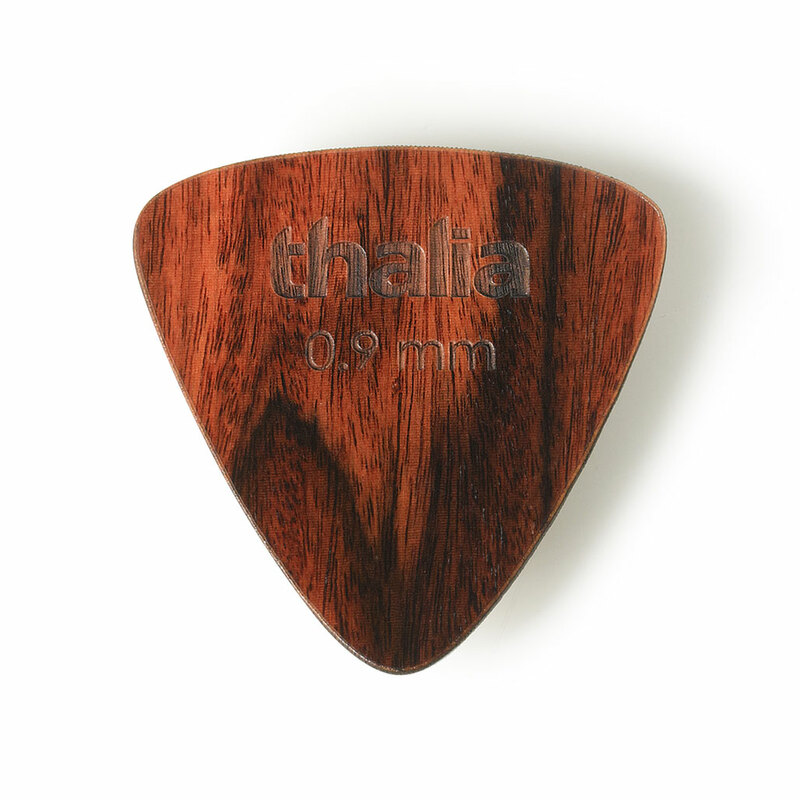 If you are a hard strummer then our 0.9mm picks are probably not for you. Our thicker 1.4mm picks are far more durable. 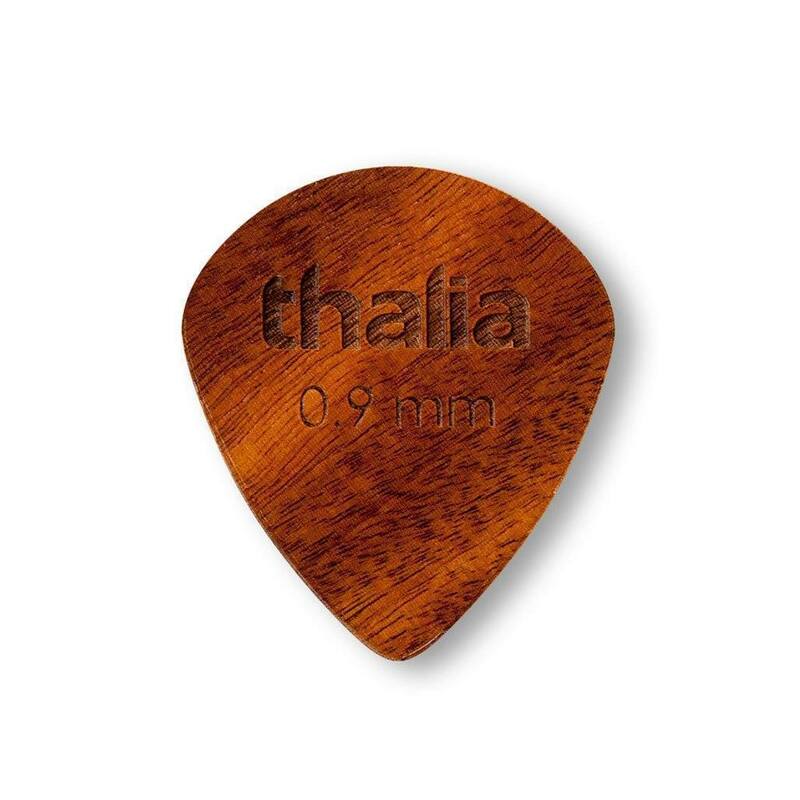 They will develop a beveled edge as you play with them and adapt to your picking style. We make four (4) different pick shapes in two (2) different thicknesses. You can order a specific thickness or you can order a mixed tin, in which case you would receive all of our picks in both thicknesses. The most popular pick shape in the world! A smaller pick that is adored by fast pickers! Our largest pick... Easy to grip and 3 sided so you get more bang for your buck! A hybrid between the standard and jazz pick shapes. WOULD YOU PREFER A SAMPLER OR DIFFERENT PICK SHAPE?